Coffee is a brewed (process of turning coffee beans into a beverage) drink prepared from roasted coffee beans. 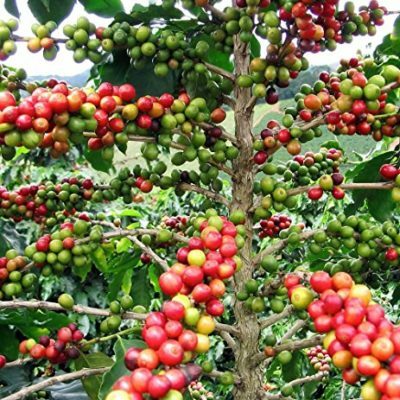 Coffee beans are the seeds of Coffea plant berries. Now a days the majority of coffee is produced in Brazil. Brazil produces 40% of the world’s coffee, which is twice as much as Colombia and Vietnam which are 2nd and 3rd in producing coffee. The original definition of coffee means “wine”. Coffee’s original name is ‘Qahwah’ from the Yemen term for wine. In Turkey it was called ‘Kahveh’, until the Dutch referred to it as Koffie and that’s where we get the English – coffee. When you add milk to your coffee, it weakens the effects of caffeine. Our bodies absorb coffee much slower when it has added fat milk content, which decreases the stimulants. 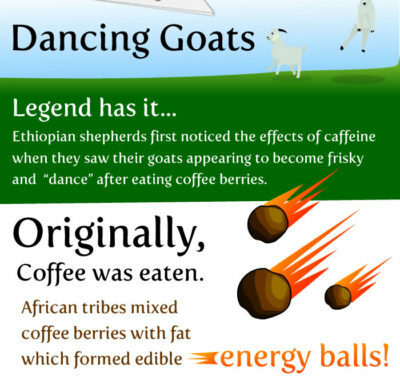 9th-century Ethiopian goat-herder named Kaldi observed his goats behaving differently after eating the red berries from a nearby Coffea arabica tree. He also tasted the berries and got hyper. He brought some of them to his religious leaders who threw the tree’s beans onto a fire to destroy them, however, beans got roasted and threw a pleasing aroma around. Afterwards they put the roasted beans into warm water and the beverage was born. International Coffee Day falls on October 1st every year and is a whole day dedicated to celebrating the well-loved beverage. The study and report, by senior author David Kao, MD, an assistant professor at the University Of Colorado School Of Medicine, presented at the American Heart Association’s Scientific Sessions 2017 earlier this month, concluded that a diet based on plants and rich in coffee may be best for your health. Scientists attribute these benefits to mainly two things – a class of phenolic antioxidants known as chlorogenic acids (CGAs) and good ole’ caffeine. 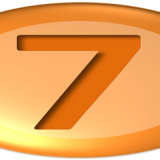 It is the world’s second most valuable traded commodity, only behind petroleum. In Japan, there is a Cat Cafe where you can go to drink caffe and hang out with cats for hours. 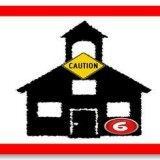 At high doses it can make you see things and can actually kill you. In Italy the average Barista age is 48, and it is a very respected profession. Espresso is regulated by the Italian government. 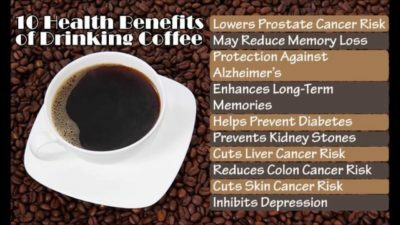 The American Chemical Society’s Journal of Natural Products found the compounds in coffee could reduce the risk of Type 2 diabetes in people having 4 or more cups of coffee daily. Consumption of 3 or more cups of coffee will help liver tissue and may protect against liver diseases. Just 2 cups of coffee could help you in depression and it may reduce suicide tendency. It is due to the type of caffeine which acts as an antidepressant because it boosts the production of the neurotransmitters in the brain like serotonin and dopamine, which makes us feel happier. People who drank 1 to 2 cups of coffee a day saw blood pressure stabilized and having a calming effect. 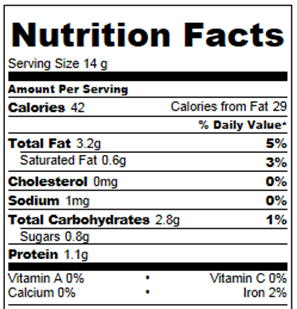 The United States Department of Agriculture -USDA’s dietary guidelines recommended people to have 3 to 5 cups of coffee a day. Caffeine is absorbed very fast and may give after effects like headaches, stomachaches, mood swings, nervousness, vitamin deficit etc. 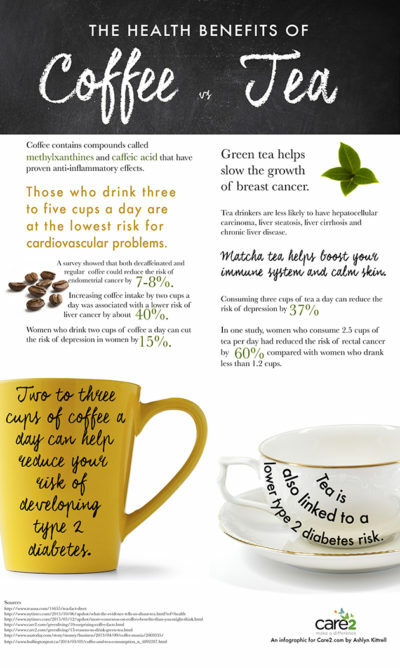 It may cause an irregular heartbeat when you go over 3 cups a day. Those with heart problems and caffeine sensitivity shouldn’t consume much as caffeine may have its side-effects. Espresso is a full-flavored concentrated form of coffee. It is made by forcing pressurized, hot water through very finely ground coffee beans. A perfect espresso will have a thick, golden-brown foam on the surface. Espresso is the foundation for a wide variety of specialty coffee drinks, such as the cappuccino, latte etc. A cappuccino is an Italian caffe. The typical cappuccino consists of three elements: the espresso, hot milk, and steamed milk foam. 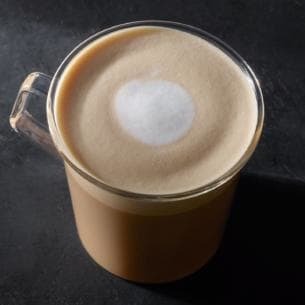 It is similar to the traditional latte but it uses a higher foam-to-milk ratio. One can use cream instead of milk and flavor it with cinnamon or chocolate powder. Here are some basic steps and tips to help you make a great cappuccino every time. 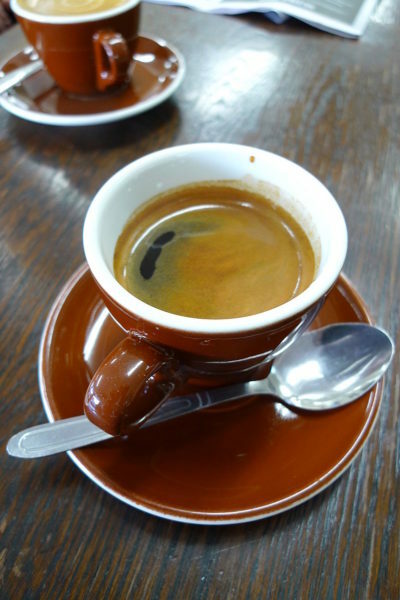 An Americano is a single shot of espresso added to a cup of hot water. The strength of Americano depends on the number of espresso shots and amount of water added. It has got the name as Americans like their coffee in this way only. 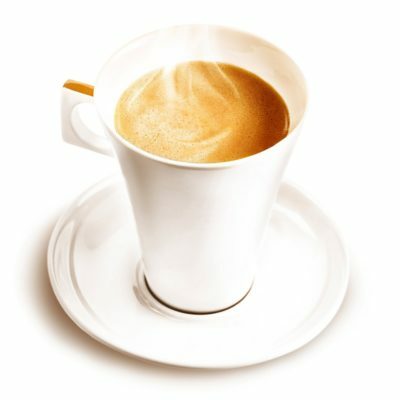 Caffè latte is made primarily from espresso and steamed milk. It consists of one-third espresso, two-thirds heated milk and about 1cm of foam. 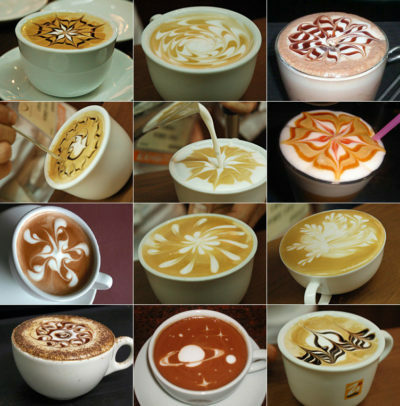 Latte art is a method of preparing coffee by pouring steamed milk into a shot of espresso and resulting in a pattern or design on the surface of the latte. This traditional French drink is similar to a caffe latte except that it is made with brewed coffee instead of espresso with hot milk added in a 1:1 ratio. 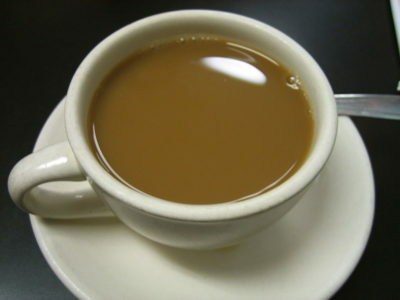 It is different from white coffee, which is coffee with cold milk or other whitener added. 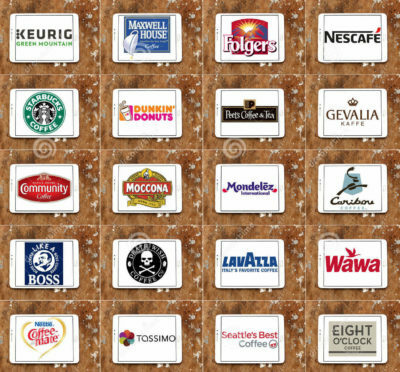 Caffè Mocha or café mocha, is an American invention and a variant of a caffe latte. 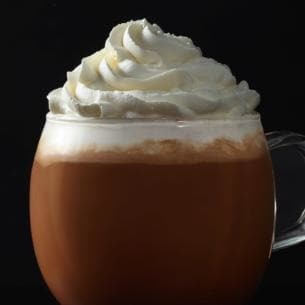 Like a caffe latte, it is typically one third espresso and two thirds steamed milk, but a portion of chocolate is added, typically in the form of sweet cocoa powder, although many varieties use chocolate syrup. Mochas can contain dark or milk chocolate. You can also top it off with sweetened whipped cream. 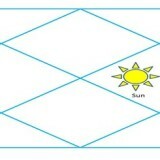 This is another variation that is prepared in a number of ways. 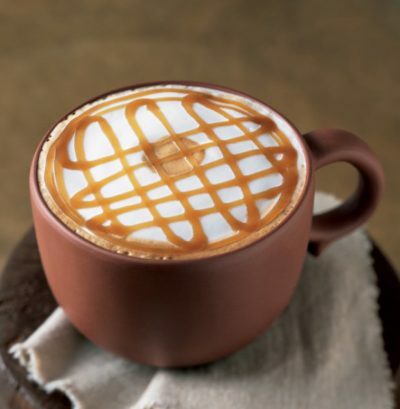 It is prepared with freshly steamed milk with vanilla-flavored syrup is marked with espresso and topped with caramel drizzle. A flat white is an espresso-based drink. It is prepared by pouring microfoam into a single or double shot of espresso. Preparation of flat whites will depend on the cafe you visit or area of the country/world you are in. 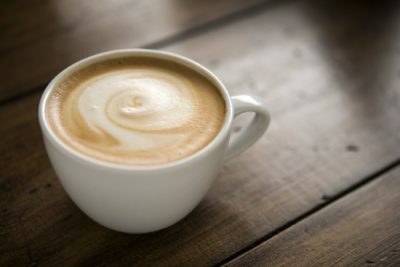 It is somewhat similar to the caffè latte although smaller in volume and less microfoam, and more milk therefore having a higher proportion of coffee to milk. Coffee competitions take place across the globe. World Coffee Events is the largest of such events includes the following events: Barista Championship, Brewers Cup, Latte Art and Cup Tasters. A World Brewer’s Cup Championship takes place in Melbourne, Australia, every year to crown the World’s Coffee King. 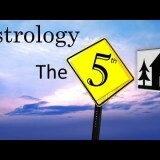 Sun 01° Taurus 27' 47"
Moon 02° Sagittarius 46' 46"
Mercury 06° Aries 00' 10"
Venus 01° Aries 26' 57"